The sky is a bridge, the bridge between home and where I am, the bridge between my origin and I, the bridge between God and I, and the bridge between reality and dream. I hope to make people aware of their bridges. The sky is never the same. People cannot anticipate what the sky will give and the interaction they might have with the sky on any given day. The experience of exquisite void and eternal spatial boundary of the sky is an enigma. The sky is the place people look to dream and to admire, but never can reach closely so that it is a romance. An unexpected experience of the sky in an urban context will give a silent moment to people and that moment will slow down their ordinary life. People can free their minds through the silent experience of the sky. Silence is not a moment of the absence of the sound, it is a moment of halt, the poetic pause in our every day life. Silence is the moment of contemplation within an experience, it guides people to travel to the inner piece of their mind. 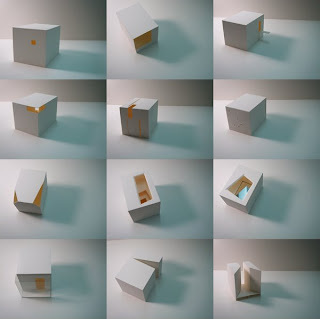 Within an existing building, the experience of the sky is possible by opening up the building from solid to void, from folded to unfolded and from concealed to exposed. The experience of the sky through these interventions of the building goes beyond the spatial transformation in the three-dimensional world, it is the threshold of the dream and reality. 하늘을 향해 계속해서 질문하고 열어 갈 것이다.